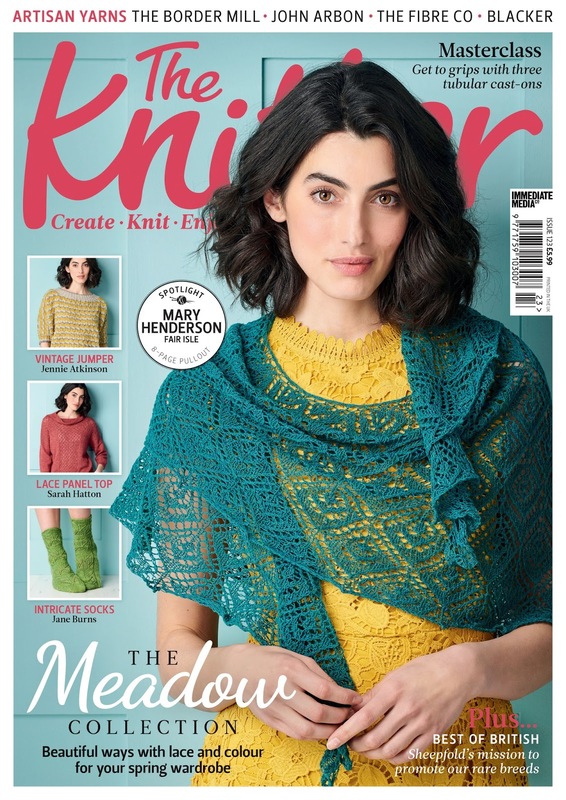 Look who's design is on the cover of The Knitter issue 123 which is in the shops now? Yes that's my shawl. This bright and beautiful shawl pairs an elegant crescent shape with a denim lace yarn in a vivid colour. 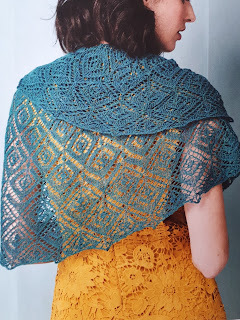 Tor Cross uses Rowan's new Denim Lace yarn, which is available as a limited edition. 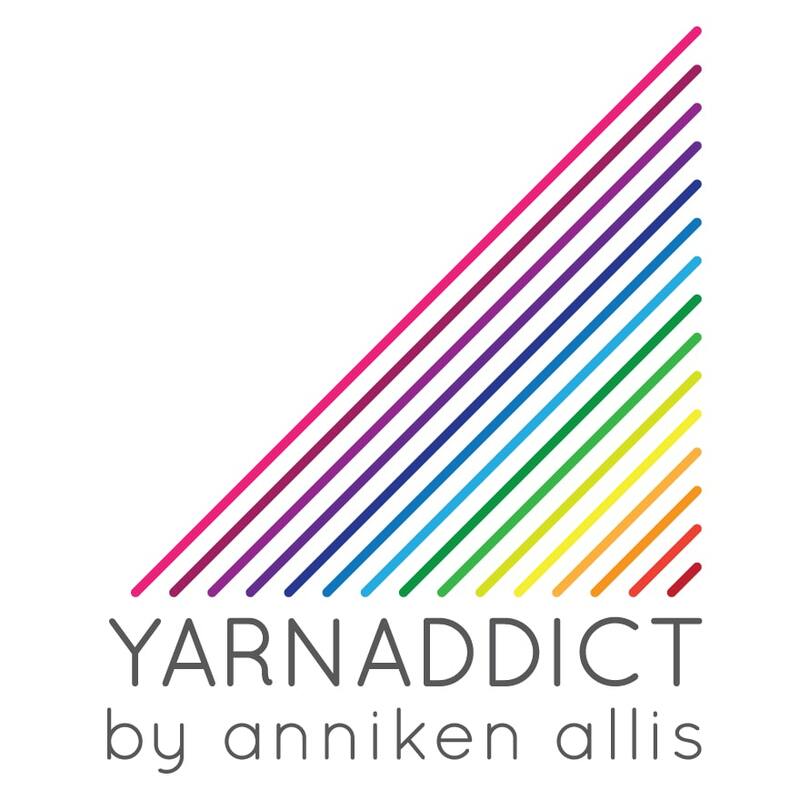 I enjoyed knitting with this yarn. 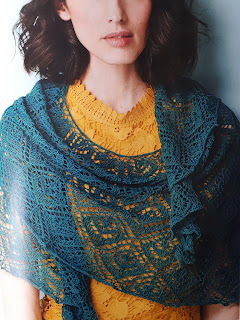 It wasn't as soft when I was knitting as a wool/wool blend yarn would be but it blocks out into a beautiful, light weight fabric perfect for summer shawls. Tor Cross is worked from the top down to create a light weight, elegant accessory. It features a beautiful lace stitch which forms a repeating diamond pattern across the fabric. 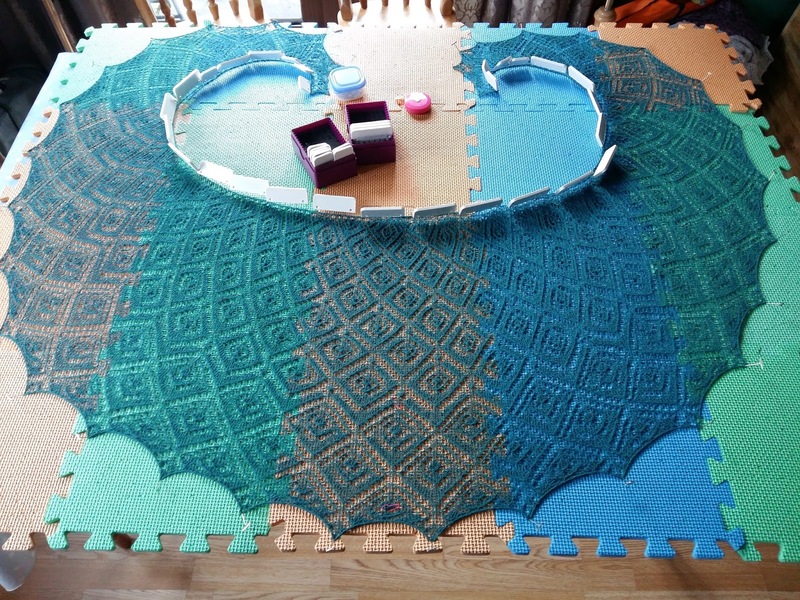 I thought you may like to see a blocking photo too.